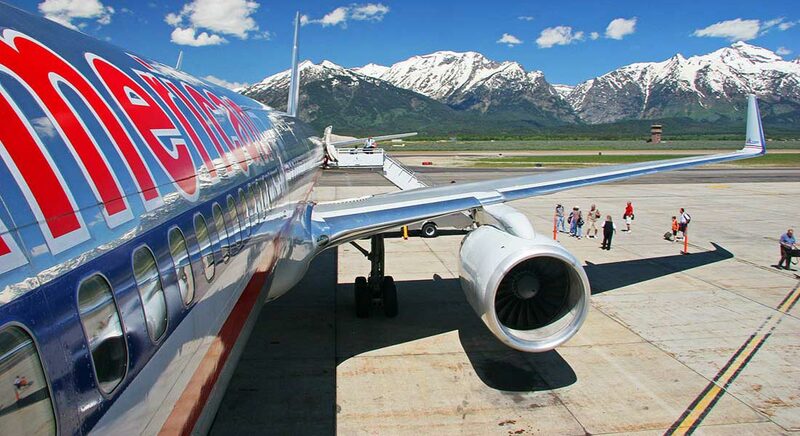 The Jackson Hole Airport is serviced by American Airlines, Delta Air Lines, SkyWest Airlines and United Airlines seasonally. These airlines provide direct service to Denver, Salt Lake City, Dallas/Ft. Worth, Minneapolis, Chicago, Atlanta, San Francisco, Houston, Newark, JFK-New York, Seattle, Washington Dulles, and Los Angeles. The Jackson Hole Airport is located at the base of the spectacular Teton Mountains. Located entirely within Grand Teton National Park, flying into the Jackson Hole Airport is an awe-inspiring start to your trip to Jackson Hole.